Figure 2-1. 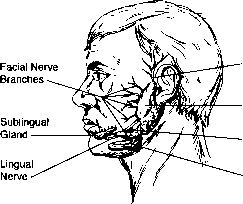 Positions of the major salivary glands and related nerves. Figure 2—2. 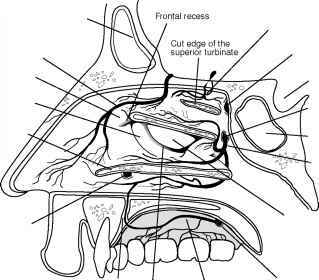 Position of the facial nerve, as illustrated following a superficial parotidectomy. 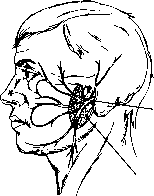 The residual parotid gland illustrated above is the deep lobe.